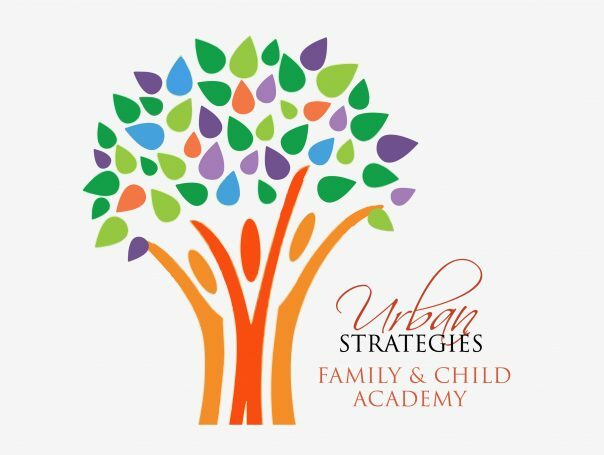 Urban Strategies is an organization that tools, connects, and resources grassroots organizations to serve children and families in communities throughout the United States and Latin America. Its mission is to develop strong healthy families, advance the school readiness of children, build engaged communities, and make a difference in the quality of life of vulnerable families. This mission is realized at the grassroots level through collaborative relationships with local community agencies and through partnership with faith based organizations. This mission forms the basis for the creation and funding of the Family and Child Academy/EHS Phoenix. Funded by private and public resources, the Family and Child Academy is designed to provide early care and education comprehensive services to infants, toddlers, ,pregnant women and their families. Vital to the work of Urban Strategies Family Child Academy is our partnership with faith and community-based organizations in Phoenix and Puerto Rico. Through this partnership, we will provide comprehensive services to children and their families, to include education, health, nutrition, mental health, services to disabled children, services to pregnant women, and successful transition to the next phase of development for the children. Urban Strategies is looking for individuals who are not just interested in a job but in an opportunity to impact the lives of marginalized and vulnerable children and families. If you share our values for integrity, authenticity, and a strong work-ethic and want to use your experience and skills to make a difference, click here to explore opportunities to join our Urban Strategies family in serving vulnerable and marginalized children and families. Dr. Jesse and Susan Miranda Family Child AcademyIn the Fall of 2017, the Dr. Jesse and Susan MirandaFamily Child Academy will begin serving infants and their families in partnership with our long-time friends at Neighborhood Ministries, a a highly respected, organization that has served the inner-city of Phoenix for more than 30 years to break the cycle of poverty by holistically serving and bringing life-transforming hope and power to families in their community. Together, we will providing comprehensive best-in-class services to 80 infants/toddlers and their families. For more information, please call (602) 718-1720. In the Winter of 2018, the Family Child Academy will begin serving 224 infants, toddlers and their families in partnership with faith-based organizations in the Puerto Rican municipalities of Bayamon, Guaynabo, and Ponce. Check back to this website for more information as this project develops.